You can check whether your customer pay you via Credit Card or Internet Banking from your dashboard. 2. On the transaction menu, click List. 3. You will see the payment from your customer is stated whether from Credit Card or FPX on the listing table. 4. If you wish to see the details, simply click on the sales transaction that you want to know. 5. On the details page, focus on the Payment Info Box. You will see a Payment Mode and the details. 6. 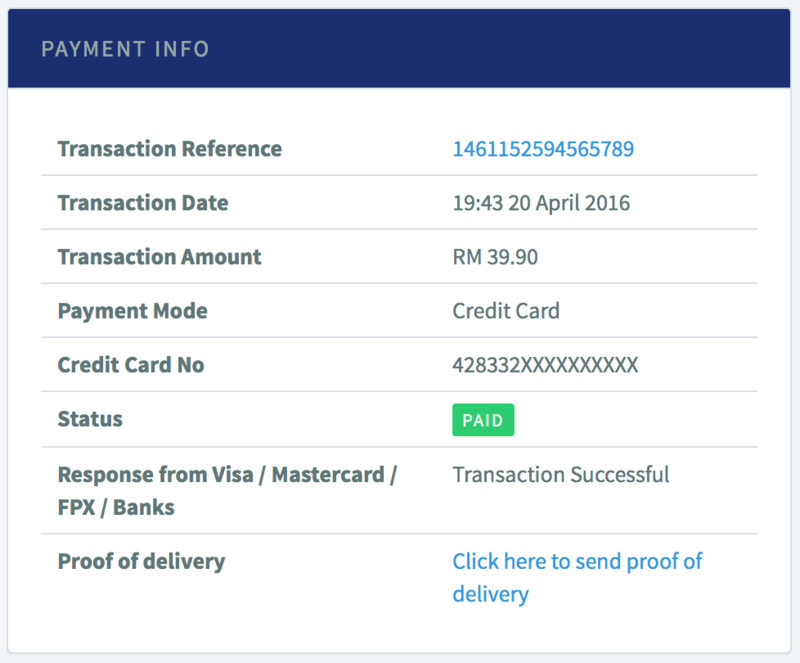 Below are the example of Credit Card Payment from a customer. 7. 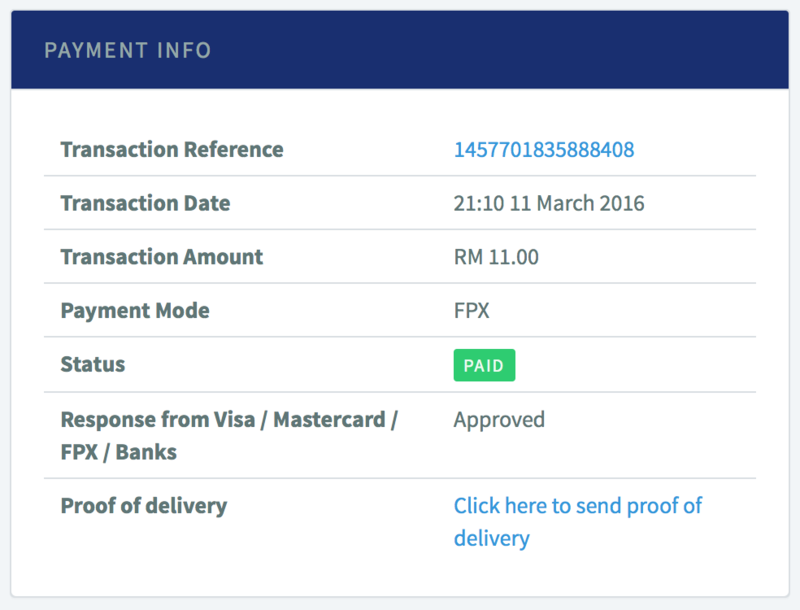 Below are the example of Internet Banking FPX payment from a customer.